Blame British Columbia. That is the $23-million message from the Alberta government to the rest of Canada as the Trans Mountain pipeline project flounders due to First Nations’ opposition, a collapsing business case, and global forces upending the energy sector. 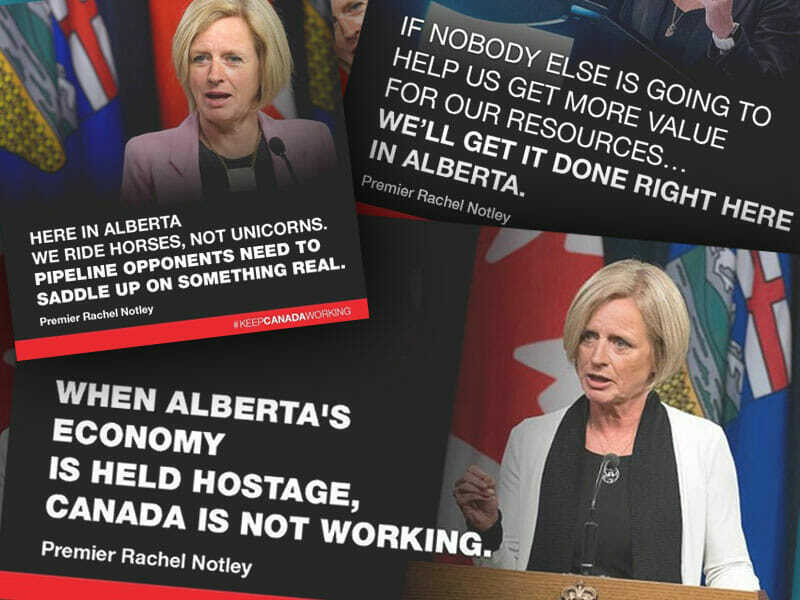 A Tyee investigation revealed the expensive details of Alberta Premier Rachel Notley’s national public relations effort to scapegoat British Columbia, including dubious claims of pipeline benefits translated into Spanish, Mandarin, Cantonese, Filipino and Punjabi. Not merely cynical and inaccurate, the campaign to portray Albertans as victims also risks emboldening a growing number of extremist elements hijacking “yellow vest” protests. Mitchell Anderson – TheTyee.ca – January 24, 2019.